Repair Hangovers is a pretty effective and easy hangover prevention. 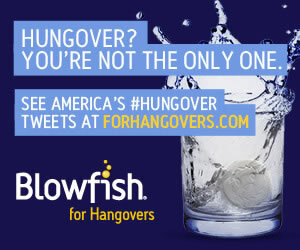 It’s an affordable product, but still more expensive than most other hangover prevention products I have tried. Unfortunately, I didn’t feel like it completely prevented my hangover, but luckily, it lessened the intensity of my hangover symptoms. Overall, Repair is a decent hangover cure. It has some results, no side effects, and a money-back guarantee. Repair Hangovers is very simple to use. Take 2-3 capsules with water 30 minutes before bed. I used Repair after a night of drinking. After taking the capsules, I slept great and woke up feeling better than I deserved. I cannot say that Repair completely prevented a hangover, but my symptoms were definitely less intense. 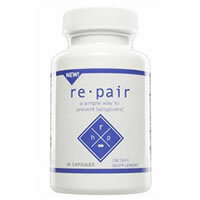 Repair contains many ingredients, but doesn’t have any energy enhancing ingredients (Caffeine, B-vitamins, or any stimulants). Repair focuses on using antioxidants and electrolytes to prevent hangover symptoms. One major ingredient is Dihydromyricetin, which is believed to assist in metabolizing alcohol and acetaldehyde. Basically, this key component to the capsules helps your liver flush out toxins, which is very important in preventing a hangover. Another key ingredient is NAC Antioxidant. This ingredient is used to prevent damage caused to liver from drinking alcohol. After drinking alcohol, the liver can become inflamed, irritated, and damaged. Milk Thistle, a key antioxidant in Repair, supposedly prevents and repairs damage done to the liver from consuming alcohol. It costs $22.99 for 30 capsules. That works out to about $2.30 per serving. Repair is on the pricier end of hangover cures. Repair Hangovers has 100% satisfaction guarantee. If for any reason you do not like Repair, you can return it for a full refund.